I knew them as star fish, but since they are not very fish like they’re now sea stars. 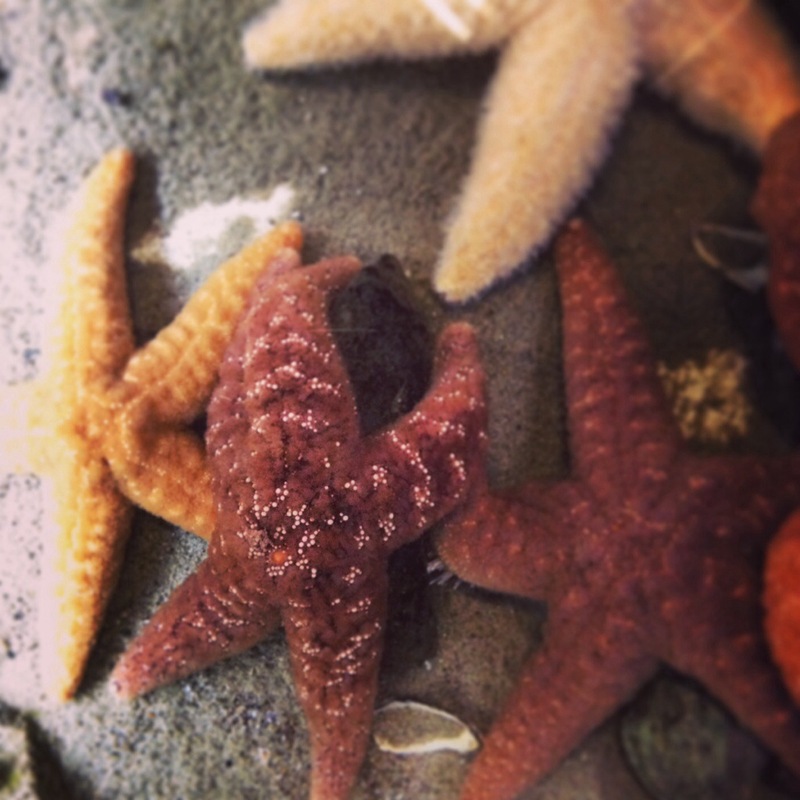 These beauties are at the Heal the Bay Aquarium at Santa Monica Pier. They are pretty amazing creatures. Not only can they hit 30 years of age, but they can grow a new leg if one is lost in battle. In fact, if enough of the center is attached they can actually become two sea stars. Clonal reproduction!